The 951's TPS is not normally considered a repairable item. If you're trying to keep up with maintenance on a 25 year old car, some of what is "normal" may have to go out the window. This is pretty much the situation on my TPS. 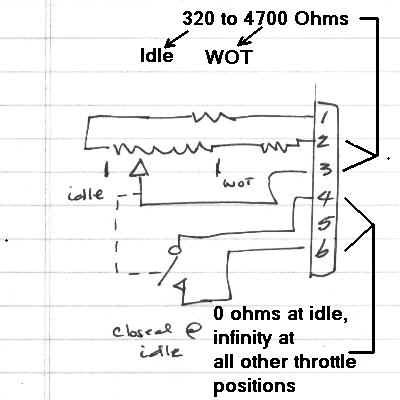 Note: this page is really oriented to the Turbo (951), bust the basic concepts are the same for the NA. In the process of looking into why I'm seeing a high idle (1100 rpm), I went through the usual checks of the TPS. And sure enough the micro switch wasn't closing (testing for continuity between pins 4 & 6 with throttle at idle). I could hear the clicking but electrically testing the contact confirmed a problem. This can be checked at the switch or at the DME, I was suspect of the switch simply because it seemed sort of covered in oil film. This might have been a simple adjustment but adjusting the TPS while the mounted on the engine is a real trick. I found it easier to just pull the throttle body and test/tweak the TPS on the workbench. With the throttle body removed, I verified the problem again and attempted to adjust the switch position. That was no help, as I couldn't get continuity between the two switch pins of the TPS. So, I'm about to throw this piece of expensive plastic into the trash and just was considering how my split finger fast ball has really been zinging lately, when I thinks ... wait a minute. Why not cut this piece of crap open and see what makes it tic. So with a little pressure from the old woodworking vice and a machinist's scribe, I poke at a suspect corner and am rewarded with a little plastic pop. A similar thump to the opposite corner and I starring into the mysterious TPS. Heck, this is nothing special - a micro-switch and a potentiometer. I believe the switch is used to signal the DME to enable the idle stabilization system and the pot passes a voltage that represents how how open the throttle body's plate is. 1.1 On cold DME control unit plug connect Terminal 2 and ground with ohmmeter. 1.1 On cold DME control uni1.3 If TPS is okay, check power flow to DME plug terminal 2. 2.1 Remove TPS plug. Connect voltmeter with Terminals 1 and 2 on plug and switch on ignition. 2.2 Switch off ignition and pull plug connector on K/CP (KLR) control unit. Connect ohmmeter with terminals 22 and 23. Move throttle slowly to full load position. 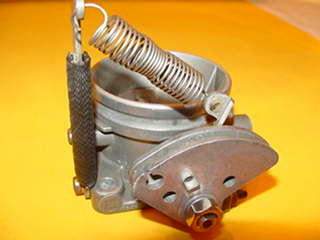 Instrument must swing continuously to the final va3.2 Start engine and increase speed to 1600 rpm. The motor should begin to surge. After the clean-up I recheck the switch and holy-moly, its working now. So, maybe I can use this puppy after-all. Checking the potentiometer, it seems fine too. So with a little RTV to reseal the case, I remount it to the throttle body. Since I have the meter right here, now is the perfect time to set the position of the TPS and verify the fix. So ends a successful hour of tinkering. Actually this is not the end... upon further study into why and how the oil film making its way into the TPS, I find that I likely have worn seals in the throttle body. 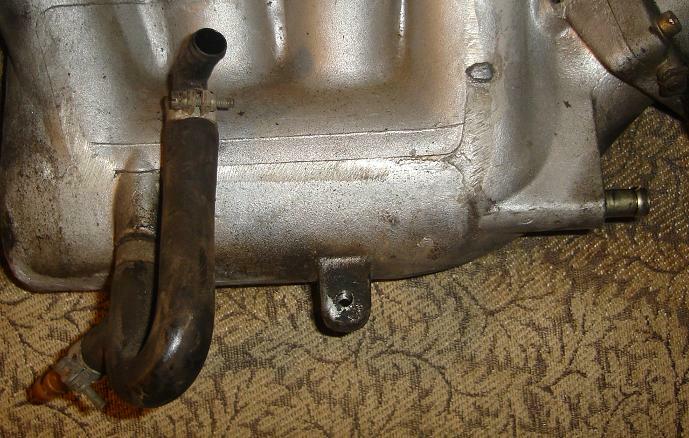 My buddies on RennList patiently explain to me that when under boost, air pressure is placed all along the intake system and finds a way out via the worn seals. Once past the seals on the passenger side of the throttle body, the oily air goes directly into the TPS. Sometimes the TPS cap will even be blown off. So, I need to pull the throttle body again and replace the shaft seals. From here, I started through a long process of locating the parts needed to reseal my throttle body. This is how I come to offer throttle body reseal kits on my website. 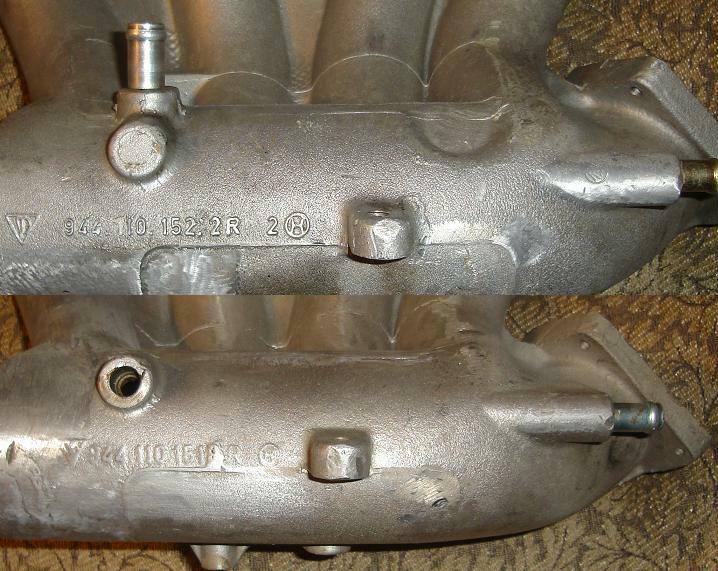 Here is a pic of the 951 vs. 944 throttle bodies.